There is a wealth of activity from horseback riding, scuba, deep sea fishing, luaus, snorkeling and historical walking tours. There are 80 holes of championship golf within a 15 minute drive. You can take a tour or drive to the Haleakala Crater to experience the sunrise or bicycle down the crater. Whether it is lazing on the beach or filling your days activities; you will not find a lack of things to do on Maui. Need a few suggestions? We will be happy to point you in the right direction. Maui is always an adventure and we will do our best to make it a most memorable one! This huge, 36-acre beach park has everything to offer visitors and local residents alike. Although the beach is very small here, the park provides excellent facilities for picnicking and family outings. The cove is extremely popular for longboard surfing and stand up paddling. 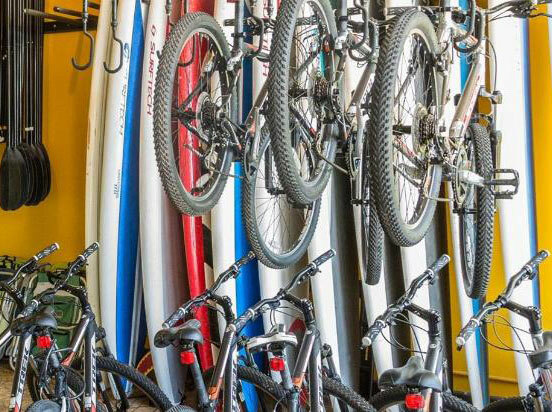 Located on South Kihei Road, the Cove has a little beach perfect for learning to surf. Though not an ideal spot to enjoy a Maui beach, you’ll find the surfing here is often a lot of fun. They also offer surf lessons here. Kamaole III is the southernmost of the three Kamaole Beach Parks along South Kihei Road in Kihei. It’s separated from Kama’ole II by a rocky area which has good snorkeling if the water is calm. 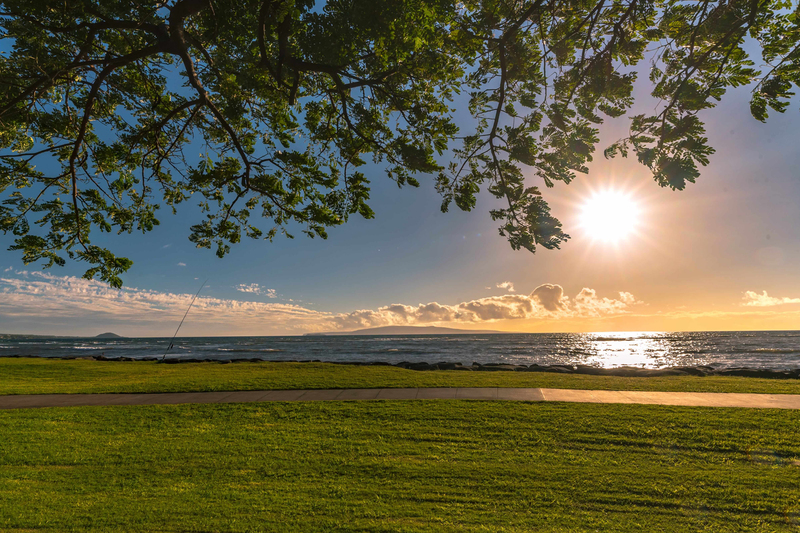 Of the three Kamaole Beach Parks, Kamaole III has the largest grassy field, near the south end of the park – it’s large enough to play a good game of football. On the weekends this park is a very popular place for the locals to have birthday parties and other celebrations. If it’s a child’s birthday, there will almost certainly be a giant inflatable “jumpy castle” (or two or three) set up. 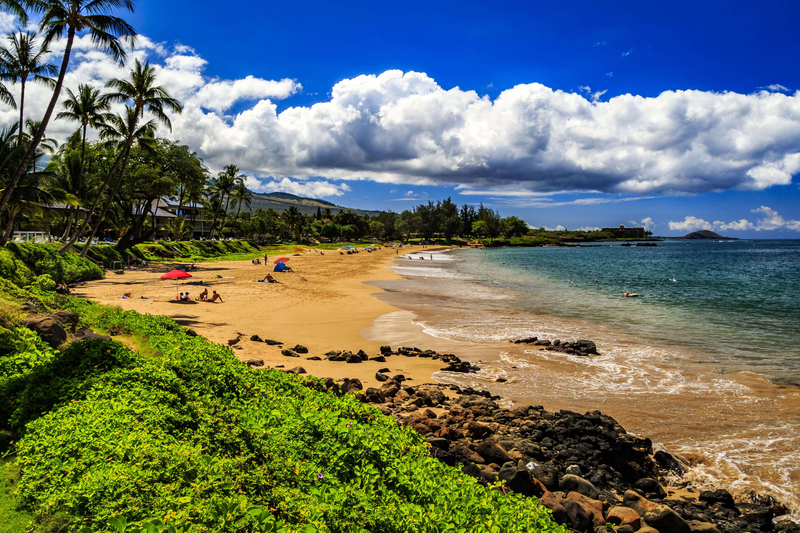 The Kama’ole Beaches are great family beaches with plenty of stores and restaurants close by. 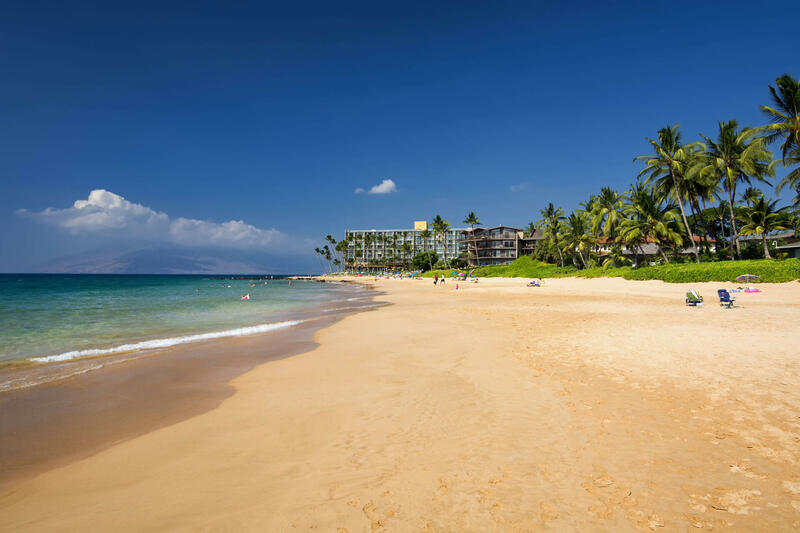 Keawakapu Beach is a sparkling jewel set at the far southern end of South Kihei Road in South Maui. At one mile long, there’s plenty of room for everyone and the beach is very popular with tourists and locals alike. Multi-million dollar houses line the shore, but they’re unobtrusive and the number of people in them doesn’t overwhelm the beach. The sand is very fine and soft and slopes gently into the water, producing a superior swimming experience. In the mornings you will find a glassy smooth ocean to swim in. These two beaches are accessed by the same path. The right path leads to Mokapu which fronts the old Renaissance Wailea Beach Resort while the left path leads to Ulua Beach. 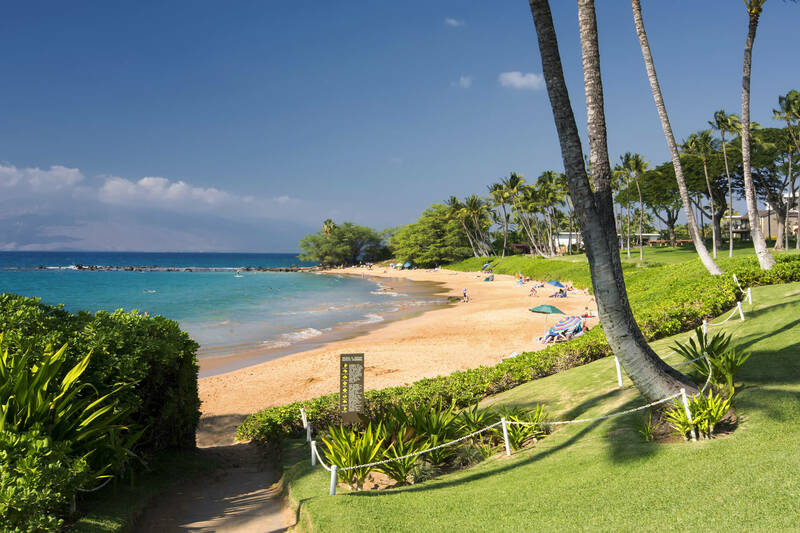 Ulua is the more popular of the two and was named one of the Top 10 Most Beautiful Beaches in America. This beach was named for an offshore island and bird sanctuary that was destroyed during WWII artillery practice. The beach is great for swimming with its sandy bottom. Snorkeling and diving in the area is fairly good although the water is sometimes cloudy. The area around the rocky point at the south end of Ulua is recommended. With a paved path to walk past the Wailea resorts, this is a fun area to visit. 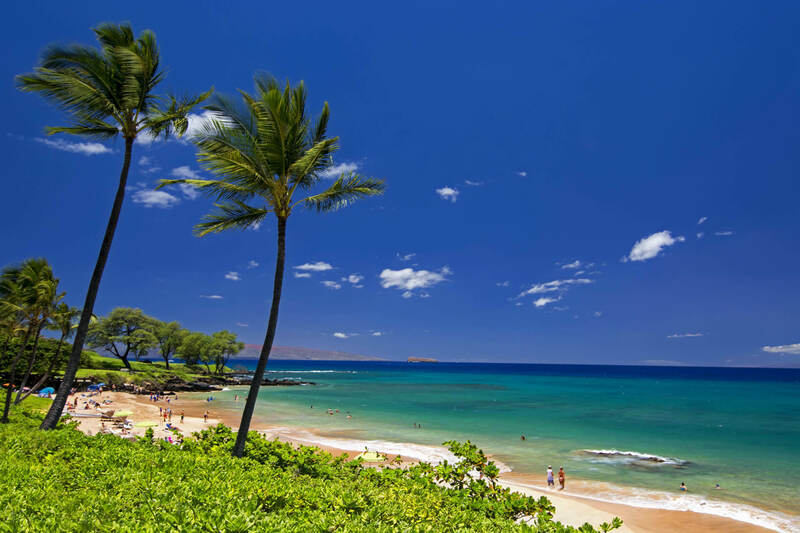 Wailea Beach is adjacent to restaurants and shops with restrooms and equipment rentals. 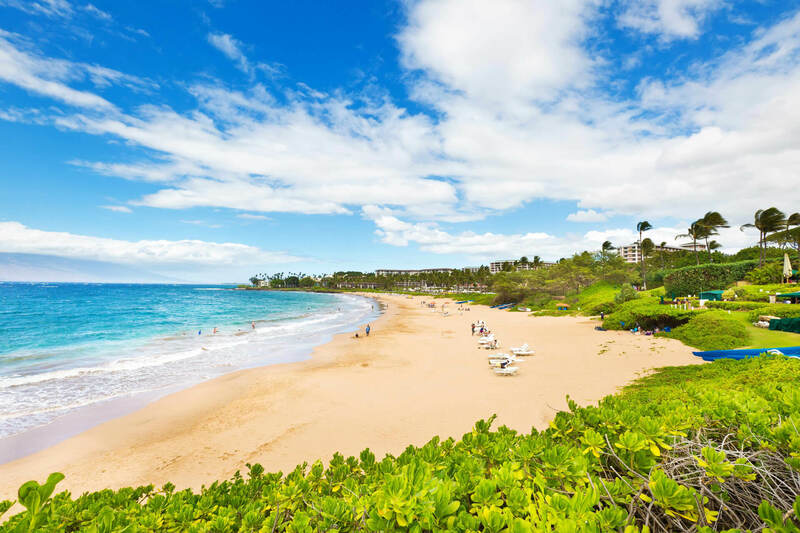 Though it can be crowded with tourists, Wailea Beach is a beautiful beach fronted by the Grand Wailea and The Four Seasons Resort. This is a lovely sand and rock beach with clear water for swimming and excellent snorkeling. While in the water, be careful of the slippery rocks. The beach is long and wide with sand dunes located inland. 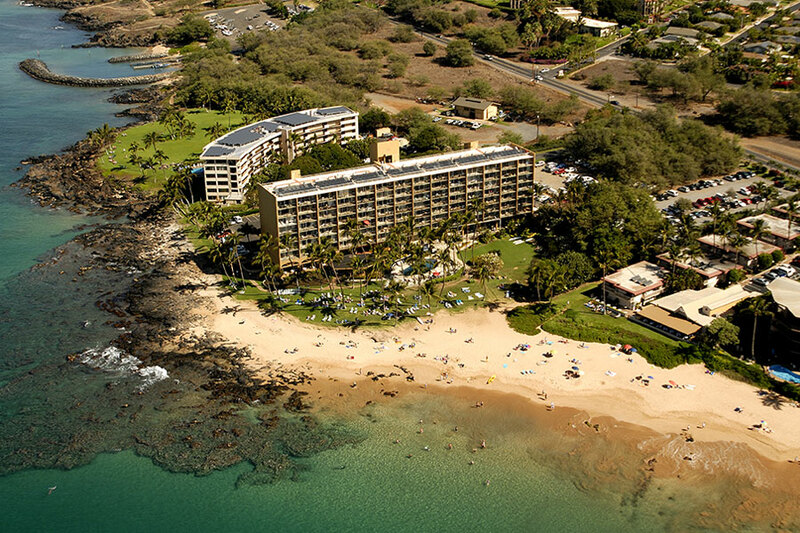 The beach is fronted by the Kea Lani Resort. This beautiful, often deserted, half-mile sandy beach is paradise! The shoreline slopes gently into the ocean making it perfect for swimming. There are lava rocks at each end of the beach providing excellent snorkeling opportunities. This beach is lesser known and less crowded than others. Snorkeling around the rocky point is excellent most of the time. Swimming is good with a very sandy bottom and gently sloping bottom. Maluaka is one of Makena’s gems. It is one of four beaches that surround Makena Bay. This beach is beautiful and has great snorkeling and swimming. Areas around here are often referred to as Turtle Town Maui. A shady, grassy area provides room for picnics, playing and relaxing. Researching the best things to do during your vacation on Maui can be time consuming, confusing, and ambiguous. Plan ahead and enjoy your Maui activities and tours for less. Whether it’s snorkeling, a sunset dinner cruise or a helicopter tour, you’ll find your Maui adventure begins here. Each Maui activity has been carefully selected with the help from the reviews of previous guests. All of these Maui attractions provide a value for your dollar. All our Maui luaus are selected for show, food and ambience. You can hike, enjoy a zip line or explore Maui on one of our horseback riding adventures. A snorkel charter to Molokini is a must! Hawaiian Style Activities provides Maui activities, tours and attractions that are family friendly and easy on your budget. The Activities Desk is located in the Mana Kai Maui lobby area and is able to assist you quickly so that you may spend your time relaxing and doing the activities instead of hassling through books, websites, and brochures. 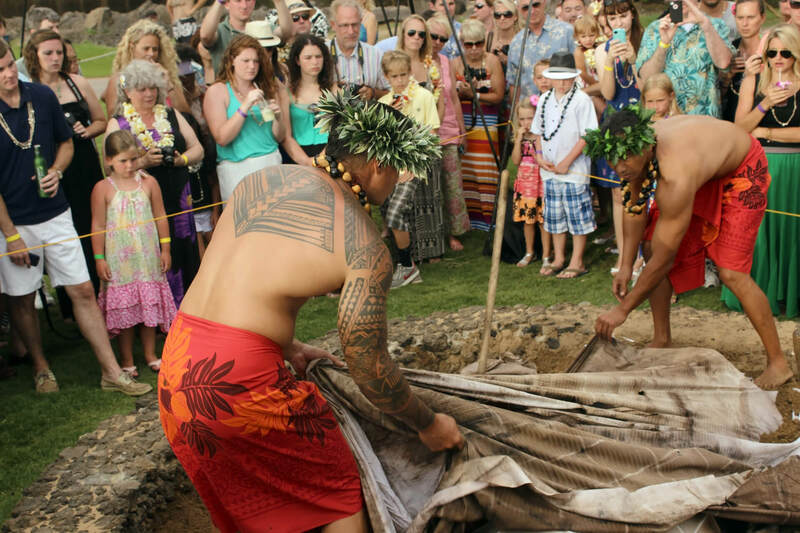 There are plenty things to do on Maui and Hawaiian Style Activities concierge can expertly help you with local Maui knowledge and extensive experience. Reservations for dinner or golfing can be made at our activities desk as well! We are open 7 days a week from 8am to 5pm. Please contact us at 808-879-6704. Experience the sport of Hawaiian Royalty with Surf Shack Maui. We love to teach all ages, adults and children alike. You are never too old to learn to surf. You will be surfing in one easy lesson or your next lesson is FREE! Our instructors are CPR and first aid trained with years of surfing experience. We provide you the personal attention that makes your lesson is a SAFE, EASY and a FUN experience. Don’t leave Maui without getting Stoked with Surf Shack! email: info@surfshackmaui.com or call 808 875-0006. A place to come home to discover your true self! 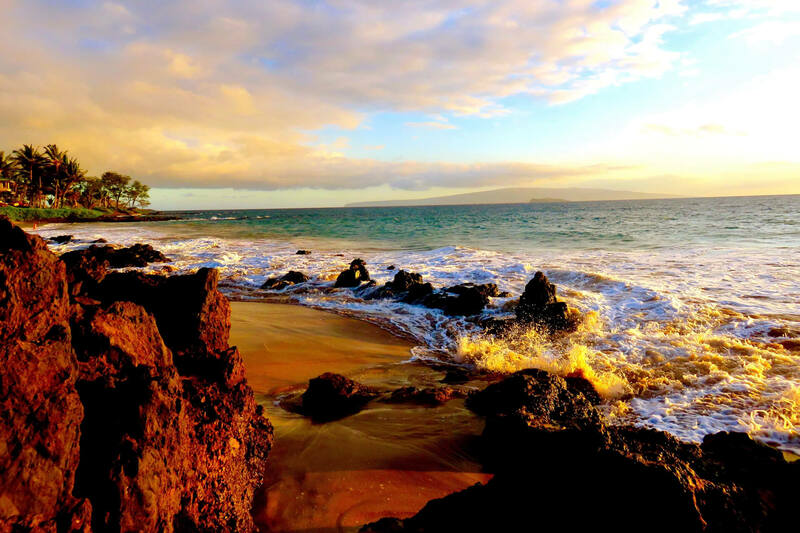 Located on the beautiful island of Maui within the Mana Kai Resort, in the South Kihei, Wailea area. 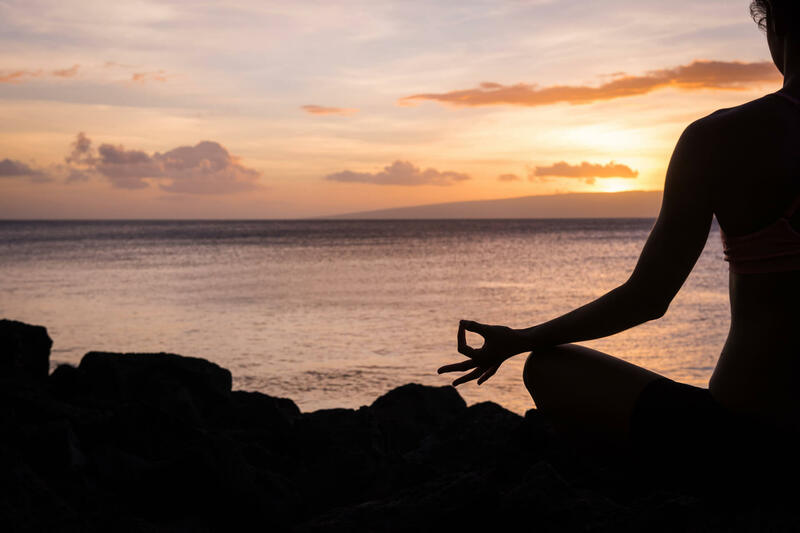 People from all over the world come together at the Maui Yoga Path for personal growth, transformation and to connect with like minded people. The large open-air fully equipped studio is surrounded by the enchanted Keawakapu beach. From the studio you can see the majesty of our sister Islands, Lanai and Kaho’olawe. The beautiful magical environment is so close to the ocean that you can see and hear the sound of the waves. Create your own personalized yoga retreat with daily yoga, core conditioning, massage, walks on the beach, swimming, snorkeling, hiking, and with endless other activities. Your Yoga experience will be fondly remembered until you can visit again and again.